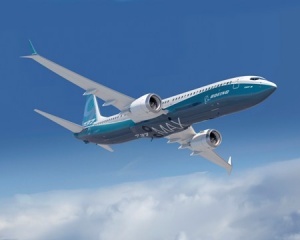 Boeing and CDB Aviation have announced an order for 30 737 MAX 8 airplanes, valued at $3.3 billion at current list prices. Both sides agreed to take this opportunity to broaden communication and strengthen cooperation in various fields, bringing the partnership to a new level. “Our commitment to our customers is to provide them with the most efficient and reliable products,” said Peter Chang, president, CDB Aviation. Based in Dublin, Ireland, CDB Aviation operates as a wholly owned Irish subsidiary of China Development Bank Financial Leasing. With registered capital of $US50 million and a fleet of over 200 aircraft, CDB Aviation has over ten years’ experience in the business and is one of the largest and most influential Chinese-owned aviation leasing companies. “We are very pleased to expand our partnership with CDB Aviation with this announcement,” said Rick Anderson, vice president of north-east Asia sales, Boeing Commercial Airplanes.